It’s important that your WMS work seamlessly with your ERP system. You should determine whether the WMS can rely on your ERP database, or if it must have a separate one. You’ll want to understand the various licensing options available with the WMS, so you can choose the one best suited to your business. Software as a Service (SaaS) combines software and a hosting service. Billing methods can vary, so be sure to ask. Leasing lets you pay for your solution on a yearly basis but allows you to host your software on your own server or in the Cloud. Check out Crestwood's blog on the Top Ten Reasons Your Business Should Move to the Cloud and read about How Migrating to the Crestwood Cloud Works? Perpetual Licensing allows you to purchase the software outright, pay yearly maintenance fees, and receive upgrades and new-feature releases. Make sure you figure out if your prospective solution requires any additional software for reporting, printing, or integrating with your ERP and other office systems. Return on Investment (ROI) is important when making any major purchase. It’s wise to clearly define improvement you expect to see from your WMS investment. A new solution will bring significant benefits to your current processes. Although the change will be beneficial, it’s well known that the number one ‘fly in the ointment’ is lack of user adoption. It’s important to prepare your team for the change and build community spirit around adoption of the solution. As important as choosing the right software, is choosing the right partner to work with. A partner who has not only expertise with the software, but a thorough knowledge of your business can be invaluable. Look for a partner who can help navigate you through the discovery and implementation process. A good partner will also allow you to approach a large project in meaningful, incremental stages if that would work best for you. Where do you want your business to be in 5 or 10 Years from now? Do you expect to see your choice of WMS supported? It’s important to choose a provider with an established track record as well as a commitment to the future. Ask too if they provide customization services, and how your customizations will be handled when you upgrade to a future release of the product? Different businesses require different functionality, and it’s important to be aware of just what you need from your WMS. 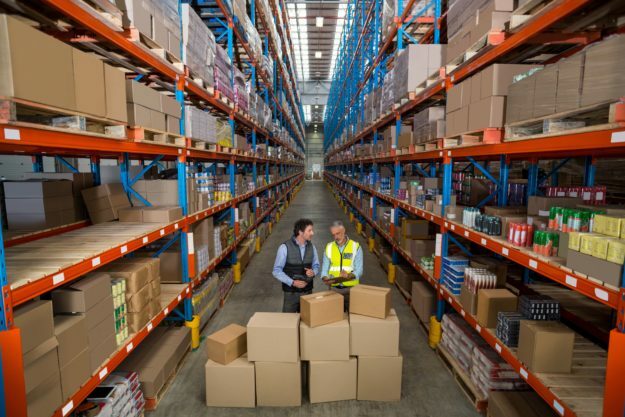 Do you have multiple warehouses? Would you like to scan serial numbers as part of your receiving process? Do you need to track the movement of multiple types of products around the warehouse in a group? Do you need “pick, pack, and ship”? Be aware that not all solutions offer these three together. For inventory counting, know that with some solutions, inventory cycle counting freezes your inventory bin which means that product cannot be sold, while other solutions allow you to continue to fulfill orders. There is so much more to talk about with Warehouse Management Solutions. We hope this helps you to prepare for these conversations and to find the right solution to meet the needs of your business. At Crestwood Associates, we have the knowledge and experience to walk you through the entire selection process, listening to your needs and goals, and sharing our expertise. Contact our experts at Crestwood Associates at [email protected] and let’s discuss the best WMS for your business. Warehouse Management System smart choice of smart people. Warehouse automation used to be about “speeds and feeds,” or how fast a piece of equipment did its job. Today, it’s about how smart the system operates.